Pecans... What does this word bring to mind? The smell of a pecan pie baking in the oven? The sweet taste of that first bite, warm and gooey? Perhaps you see a grove of towering pecan trees or a single tree in a backyard. You may be reminded of the crisp fall air that accompanies the pecan harvest. Possibly you associate pecans with a specific holiday, perhaps Thanksgiving or Christmas. 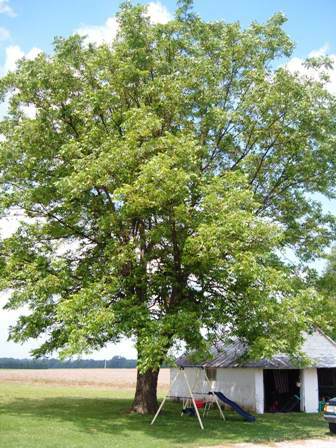 I was raised in rural Western Kentucky where many backyards are home to a few old pecan trees. I've spent many hours gathering fallen nuts with a pecan picker upper (or simply on hands and knees), piling the harvested brown pecans into a bucket. Afterward, we would carry these brimming baskets to a local cracking and shelling business to have them cracked. This was usually followed by many nights of "picking" out or shelling and then preparing them for storage. The work was well worth the effort to taste the delicious pecan treats we would enjoy during the following months. Now I have a small "farm" of my own where my wife, sons, daughters, and I live. After purchasing the property at an auction one fall we quickly realized we would have a few hundred pounds of pecans on our hands from the three old trees growing near our house. That first fall yielded enough nuts for us plus plenty to sell, thanks to my dad and his buddy who spent many hours gathering them up while I remodeled the old farm house. 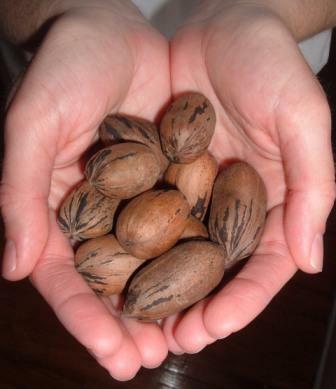 Whether you have arrived at this site looking for information about types of pecans, pecan trees or pecan harvesting; you will find it here. We've gathered, tried, documented and tasted several pecan pie recipes and other pecan recipes. You'll even find information about buying pecan trees and pecan sales. We've also included some other information ranging from pecan festivals to pecan flooring. There is even an "other nuts" page that tells you more about walnuts, almonds, cashews and peanuts. There is lots of "hands-on" content contained in the pages of this site. But if there was something we didn't have first hand experience with, we researched it thoroughly before including it here. Our goal is to be your trusted source for pecan information. We are glad you have taken time to stop by our website. We hope that as you click through the pages contained in this site you will see why we are nuts about pecans! 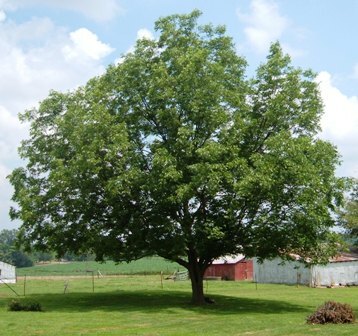 A collection of information concerning the pecan tree. Details of tree care and tree pictures. In the market to buy an electric pecan cracker? 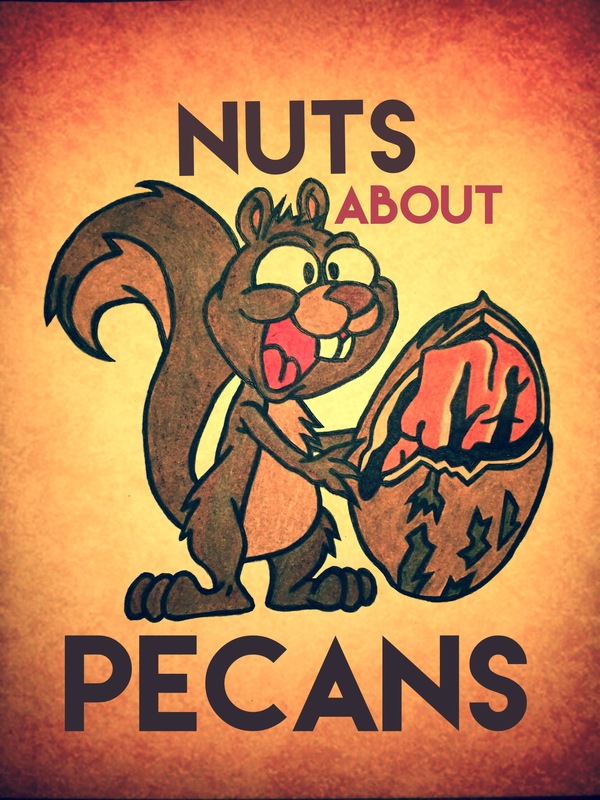 Nuts-About-Pecans.com has you covered. 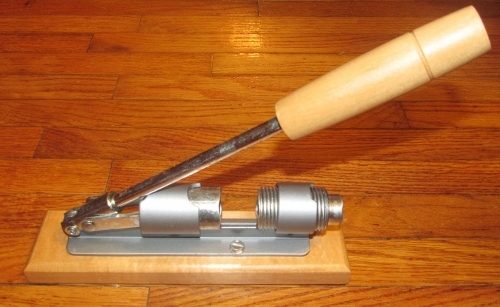 Looking to buy a pecan nut cracker sheller? You've come to the right place. We have several nut crackers to choose from.